Moving home is expensive enough without the added financial stress of paying your rental bond upfront. 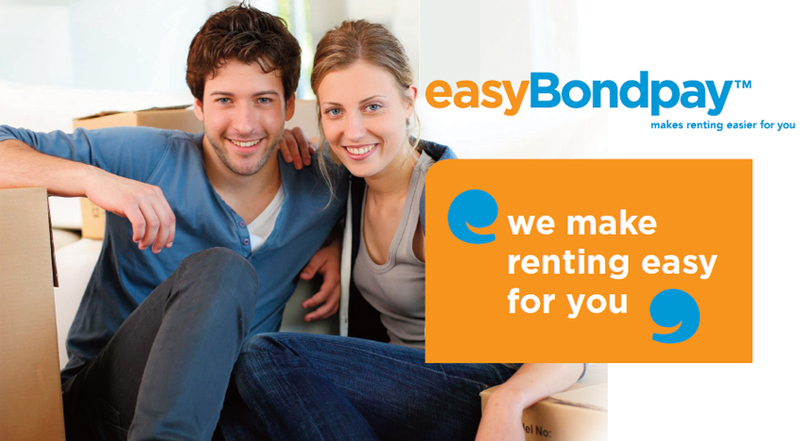 With easyBondpay you can ease the pain of moving home and pay your rental bond over 6 or 12 monthly instalments. Applying is easy and no credit rating is required. Simply tell your property manager you would like to pay your bond by easyBondpay and they will do the rest. Paying your rental bond in smaller, monthly instalments lets you save your money for more important things, like enjoying your new home. * Total payable $1639.50 including interest and charges over 6 month term. Apply for rental and advise your property manager that you wish to pay your bond monthly with easyBondpay. Your property manager processes your application and receives instant approval. We pay your full bond the very same business day directly to your property manager. That’s it! We deduct your monthly instalments until the bond has been repaid in full. Make bond payments EASY with easyBondpay. EasyBondpay is a product of Principal Finance, an independent finance provider offering a range of leading edge finance products, which also include premium funding and fee funding.